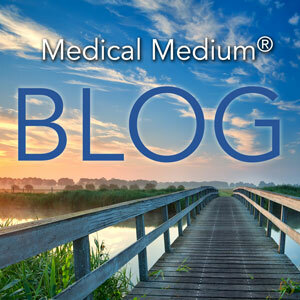 Hello and welcome to the Medical Medium Blog. I'm so happy to have you here. Visit this blog anytime for inspiration and valuable insights on fruits, vegetables, herbs, spices, recipes, and practices that will help you to heal and feel your best. Happy reading! Oatmeal is one of the most common and popular breakfast choices for Americans, the British, and Australians. It's comforting, filling and delicious. This recipe for oatmeal skips the grains altogether, offering a delicious alternative for anyone avoiding grains. Instead delicious sweet fruit is used to mimic the consistency and comfort of oatmeal, with the added bonus of a ton of healing properties from the fruit. Bananas are not only a great grab-and-go snack, but they are a wonderful ingredient for adding sweetness and creaminess to delicious and healthy smoothies and treats. If you suffer from a sleep disorder, the high levels of tryptophan found in bananas can help ease these conditions. This is true if you wish to lower anxiety, ease depression, or foster a greater sense of calm as well. On an emotional level, bananas can offer tremendous assistance. If you or a loved one suffer from PTSD, consuming three or more bananas a day can help alleviate this condition. Apples are a powerful fruit that should not be undervalued because of their familiarity. Apples have incredible anti-inflammatory properties, and their ability to soothe the body of bacterial and viral toxins that can give rise to inflammation make it an excellent food if you are suffering from encephalitis (brain inflammation), IBS (intestinal inflammation), or nerve inflammation brought about by a viral infection. If you are looking to offer your brain some extra support, turn to the apple. Its phytochemicals not only help to boost electrical activity, but they offer nourishment for your neurons as well. The antioxidant strength of cinnamon is astounding. Its antioxidant might is more powerful than that of all other foods, fruits and vegetables included. Cinnamon can offer wonderful assistance if you are suffering from nausea, diarrhea, indigestion, or flatulence. It can also come to your aid if you are battling a flu. Not only can cinnamon help ward off the flu, but it can reduce its length and help wipe out congestion and mucus from the system as well. This is a quick and easy to make recipe perfect for both adults and children. This recipe is enough for one adult as a light breakfast or as a snack. You can double or even triple the recipe if you like if you are hungry. And with an oatmeal as nourishing as this, you can enjoy it any time of day! Place the bananas, apple, and cinnamon in a food processor and pulse until chunky and creamy. Transfer the mixture to a bowl and top with raisins, cinnamon and/or chopped apples. You can also add fresh berries, chopped pear, or any other fruit of choice. Why 16oz of Celery Juice? For decades #1 New York Times Bestselling Author Anthony William Medical Medium has been recommending that people drink 16 ounces of straight celery juice on an empty stomach every morning. Today, millions of people around the world are participating in this healing practice and experiencing the benefits for themselves. You might be wondering why 16 ounces is recommended specifically. The reason is because when you drink celery juice it has quite a distance to travel. To receive as many of the healing benefits of celery juice as possible, this herbal extraction must travel from the mouth, through the digestive system, then into the liver and even eventually the brain. On its journey through your body, the celery juice faces many obstacles, from remnants of toothpaste and mouthwash, to bacteria, viruses, unproductive fungus, rancid fats, and much more. Drinking 16 ounces of straight celery juice is the amount needed for the juice to overcome these obstacles and reach the parts of the body it needs to in order to bring its full healing benefits. That doesn’t mean you can’t drink less. Many people start with drinking 8 ounces or even less and build up to 16 ounces over time. That is fantastic. Others feel best when they drink 32 ounces. That provides even more healing support for your body. Celery juice, when consumed in the right way and the right amount consistently, is a powerful and miraculous healing remedy and millions of people are noticing the benefits it provides, such as clearer skin, improved digestion, less bloating, sustained energy, better mental clarity, weight loss, and stable moods, just to name a few. People are healing from all kinds of acute and chronic illnesses, including Hashimoto’s thyroiditis, eczema, psoriasis, acne, SIBO, constipation, chronic fatigue syndrome, blood sugar issues, migraines, acid reflux, high blood pressure, addictions, adrenal issues, gout, allergies, autoimmune conditions, and countless others, from drinking plain celery juice daily. Acid reflux is not due to gastric acids or hydrochloric acid from the stomach as medical research and science believe. If you or someone you know is experiencing acid reflux regularly, the acid is either coming from a bacteria or toxins in the liver and even the small intestinal tract. In most cases, it is bacterial. Medical communities aren’t aware that this is what is really behind this unpleasant condition. There are cases of acid reflux where there is an actual kink in the intestines or a hernia. However, if the cause is not a visible one, the cause is a weakened liver with toxins and/or bacteria. The bacteria produces an acid that mimics gastric acid and fools the physician into thinking it is indeed gastric acid, when in fact it is not a stomach gland-produced acid at all. In Medical Medium Celery Juice: The Most Powerful Medicine of Our Time Healing Millions Worldwide, I share exactly how to drink celery juice to help heal acid reflux and answer hundreds of questions I receive daily about this incredible remedy. I also share how celery juice works in the body to help heal almost 200 chronic illnesses and symptoms. When you have bacteria and toxin-based acid coming up and causing acid reflux or heartburn, it means you have a lack of hydrochloric acid in your stomach. Hydrochloric acid is the good kind of acid that actually destroys bacteria, which in turn prevents acid reflux. In other words, if you have the bad acids, it means you do not have enough of the good acids. As mentioned, acid reflux is also connected to a weakened liver. Typically, weak digestion is due to an overburdened liver that cannot produce strong enough bile, which then forces the stomach to overproduce hydrochloric acid to compensate. This is extremely taxing on both of the organs and weakens the stomach glands that produce hydrochloric acid over time. Now, with both low bile and low hydrochloric acid production, bad bacteria can thrive in the duodenum and other areas of the stomach, which can result in acid reflux. The hydrochloric acid in the stomach is actually a complex blend of seven different acids, which are yet to be discovered. Medical communities currently believe, mistakenly, that hydrochloric acid is just one acid. If someone has, for example, a diminished amount of three of the seven acids in hydrochloric acid, a doctor or health practitioner will not be able to spot the problem because the truth about hydrochloric acid is unknown by medical research and science. You can read about hydrochloric acid in detail in Medical Medium Celery Juice. The most miraculous food to include when fighting acid reflux is celery juice. Drinking a 16oz glass of straight celery juice (don’t add anything else to it for best results) every morning on an empty stomach restores the glands in the stomach that produce the seven-blend hydrochloric acid. There are undiscovered subgroups of mineral salts in celery juice that contribute to this process and ensure hydrochloric acid is produced, which in turn means bacteria can be destroyed. These mineral salts are also able to support the liver in producing bile. As you drink celery juice, it travels down the alimentary canal, and its enzymes start hitting the mucus that goes along with the presence of the bacteria and toxins. It’s undiscovered sodium cluster salts start hitting old, rancid fats, toxins, bacteria, viruses, and funguses—breaking them down and killing them off, including the bacteria that causes most cases of acid reflux. Over time, celery juice’s ability to help restore hydrochloric acid and bile production, kill off enough bacteria, flush out enough toxins, and bring healing to the liver and stomach means that it can help heal acid reflux. If you’re unable to drink a full 16 ounces of celery juice daily at first, even drinking four to eight ounces every morning can do wonders in helping to heal acid reflux and heartburn. If you are experiencing bad acid reflux, you can even do two 16oz glasses of straight celery juice a day, one in the morning on an empty stomach and one in the afternoon or before dinner on an empty stomach. Or you can drink 32 ounces in one go in the morning on an empty stomach. It’s helpful to keep drinking celery juice as I recommend in Medical Medium Celery Juice even after your acid reflux or other problem has healed because you could spare yourself from experiencing worse later. With severe chronic acid reflux, it’s also important to bring in the additional Healing Guidance suggestions I outline in Medical Medium Celery Juice. With these suggestions and the celery juice, freedom from acid reflux and other symptoms and conditions is absolutely possible. Learn more about the healing benefits of celery juice in my new book Medical Medium Celery Juice. If you’ve ever experienced digestive problems such as constipation, diarrhea, bloating, excess gas, stomach pain, or small intestinal bacterial overgrowth (SIBO), or looked into how the body works, you might have heard about the digestive enzymes we need to break down food. These digestive enzymes are crucial, but they’re not the only digestive enzymes your body uses. There are three other types of digestive enzymes you need and where they come from might surprise you: celery juice. What does this mean for your body? First, it’s important to understand that almost everyone today has digestive enzymes that are not as strong as they’re meant to be. The reason for this is because the liver plays a critical role in producing one essential type of digestive enzyme––a truth which is decades away from being discovered by research and science. But the problem is that nine out of ten people right now have livers that are overburdened and sluggish from having to deal with so many toxins, pathogens, pollutants, poor diet and lifestyle choices, alcohol, medication, drugs, cigarettes, air fresheners, colognes and perfumes, and more. A struggling liver impacts the production of the type of digestive enzyme the liver is responsible for, which in turn affects digestion and contributes to other problems within the body. This is one key reason why so many people experience digestive issues of some kind over their lifetime. If you’ve been fortunate enough to have not experienced any digestive issues yet, it’s still important to take preventative steps now to avoid suffering with them in the future. Celery juice's digestive enzymes are a saving grace to these weak enzymes almost everyone has. They come along and reinvigorate these weary enzymes so they can do their job better. Plus, celery juice’s enzymes re-stimulate enzymes from food that are in the small intestine. Celery juice also revives the liver so it can produce stronger bile-related digestive enzymes in the first place and helps strengthen the pancreas and ignite pancreatic enzymes. In addition, the enzymes in celery juice themselves are profoundly powerful for the breakdown, digestion, and assimilation of certain nutrients that neither bile nor hydrochloric acid addresses, because the digestion process is that complex. Medical research and science do not yet fully understand how digestion works and how intricate, involved, and miraculous it is. The benefits I’ve shared here are just a handful of the ways celery juice’s enzymes are instrumental in improving the health and functioning of your body. There’s many more ways they support you. Celery juice actually contains well over two dozen varieties of enzymes, most of them undiscovered and involved in the breakdown of waste matter inside the intestinal tract. But it’s the healing benefits the three special undiscovered enzymes I mentioned above provide that are one of the main reasons so many people feel better and heal when they drink 16 ounces of straight celery juice on an empty stomach every morning. You can read more about celery juice’s digestive enzymes and the other incredible healing benefits of celery juice in Medical Medium Celery Juice. Celery juice isn’t a short-term fad or trend that is going to soon pass. It’s not something that’s popular right now but will soon be a distant memory. That will never happen with celery juice because its healing power is too great. It has made that much of a difference in millions of people’s health and lives already and will continue to help many millions more. Celery juice, when consumed in the specific way I share in Medical Medium Celery Juice has the potential to bring improvement and healing to all kinds of chronic illnesses and symptoms, including acne, eczema, psoriasis, acid reflux, bloating, SIBO, migraines, anxiety, depression, dermatitis, allergies, fatigue, mood swings, reproductive issues, fibromyalgia, streptococcus, and much more. This humble herb’s medicine, extracted through the juicing process, is truly the most powerful medicine of our time healing millions worldwide. I want nothing more than for you and your loved ones to try it for yourself as I describe in Medical Medium Celery Juice so that you too can experience the healing benefits it provides. In Medical Medium Celery Juice I also answer hundreds of questions I receive daily about celery juice and give you exact instructions for how to get the most healing benefits from celery juice. Thank you for your support and commitment to healing. It means the world to me. Learn more about the healing powers of celery juice in my new book Medical Medium Celery Juice. This Lemon Ginger Honey Water is refreshing and hydrating. It’s the perfect drink to begin your day with (try it 30 minutes or more before or after celery juice), for an afternoon pick me up, or to sip on over the day. When you drink this healing tonic when you first wake up, it will help your liver flush out toxins it’s collected for release throughout the night while giving your liver and body the critical hydration and glucose it needs to begin your day. Lemons and limes contain micro mineral salts that break down pathogens such as unproductive bacteria, mold, yeast, and fungus to help protect your liver’s immune system. The rich calcium levels in lemons and limes binds to the vitamin C within them, and both of these enter into the liver, where they waken a stagnant, sluggish, fatty liver, helping loosen and disperse fat cells. Ginger aids is known to greatly aid in digestion and assimilation and is widely regarded to help prevent colds, flu, motion sickness, and vertigo. Ginger can also help to alleviate menstrual cramps, nausea, heart burn, migraines, sore throats, exhaustion, fatigue, and constipation and it is great in providing relief from the stomach flu and food poisoning. Raw honey contains a combination of sugar that the liver needs desperately and vitamins, minerals, and other nutrients—hundreds of which are not on the record with medical research and science. Raw honey is antimicrobial: antiviral, antibacterial, antifungal, all packaged into one. When it heads to the liver in its broken down, assimilated state, it packs a punch, giving the liver everything it needs at once: the liver’s immune system strengthens instantly. Grate the ginger into 2 cups of water. Allow the water to steep for at least 15 minutes and ideally longer. You can even leave it steeping in the fridge overnight if you wish. Strain the ginger out of the water when you’re ready to drink it, add the lemon juice and raw honey. • As an alternative to grating the ginger, try chopping it into a few small pieces and squeezing them in a garlic press—it will act like a mini juicer. Be sure to take out the “pulp” from the press afterward, chop it finely, and add it to the water, too. • It can be helpful to prepare a big batch of ginger water in advance to sip as desired. For best results, add the honey and lemon just prior to consuming. 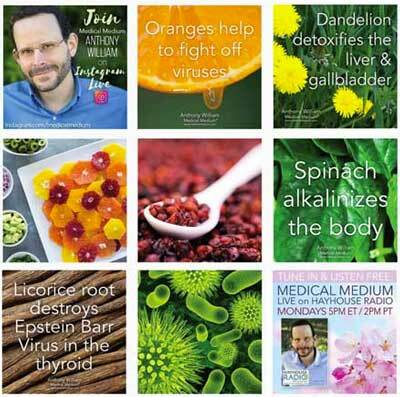 Find out more undiscovered properties of healing foods and how they support the liver, check out my NY Times bestselling book, Liver Rescue. This sorbet can be made year-round with frozen peaches from the store or peaches you froze at the height of summer yourself. The sweetness of the peaches goes perfectly with the zing of ginger and the brightness of Meyer lemon juice. If Meyer lemons aren’t available, substitute regular lemon juice and adjust the honey until the desired sweetness is reached. Peaches: The skin of peaches has a quality that’s sticky to toxins and poisons inside the intestinal tract. These skins cling to deep-seated pockets of debris; old, putrefied food; and mucus inside the small intestine and colon, driving them out to make room for friendly bacteria and microorganisms and allow for better nutrient absorption. The juicy nature of a peach or nectarine is unique in the sense that it’s a combination of fruit acid along with mineral salts and sugars, with an astringent phytochemical compound close to the pit that allows for rejuvenation close to the liver’s inner core. Ginger: One of the world’s oldest and most popular medicinal spices. It is known to greatly aid in digestion and assimilation and is widely regarded to help prevent colds, flu, motion sickness, and vertigo. Ginger can also help to alleviate menstrual cramps, nausea, heart burn, migraines, sore throats, exhaustion, fatigue, and constipation and it is great in providing relief from the stomach flu and food poisoning. Place the ginger into the food processor and process until finely minced. Add the frozen peaches, lemon juice, and honey to the food processor and process everything together for 2 to 3 minutes until smoothly combined. Stream in the water slowly, using just enough to keep everything moving. It can also be helpful to stop and scrape down the sides of the food processor. The sorbet is done when a smooth, even texture has formed. This sorbet will be on the softer side. For a firmer consistency, transfer the sorbet to a container and freeze it for 3 to 4 hours prior to serving. *If using store-bought frozen peaches, make sure they don’t contain citric acid. *If you like things extra sweet, feel free to increase the amount of honey until the taste is exactly what you want it to be! Find out more undiscovered properties of healing foods and how they support the liver, check out my bestselling book, Liver Rescue. Love the soothing effects of chamomile tea? Try this fun twist on regular chamomile with the addition of fresh ginger and turmeric, which offers even greater soothing and anti-inflammatory benefits than chamomile alone. Enjoy this tea anytime you feel stressed or in need of calming comfort. Chamomile tea is beneficial for insomnia, sleep disturbances, racing mind, high anxiety and stress. Chamomile tea also has the ability to soothe a disturbed digestive system by easing flatulence, stomach aches, ulcers, and cramping and by assisting in overall digestion and elimination. It is also known to help relieve bronchial and sinus congestion, calm anxiety and panic attacks, decrease menstrual cramping, ease muscle spasms, and reduce migraine pain. Chamomile tea’s anti-inflammatory properties makes it beneficial for helping to reduce swelling associated with arthritis, fibromyalgia, and other auto-immune diseases. Ginger also contains potent anti-inflammatory compounds called gingerols and is a powerful painkiller, which makes it especially beneficial for those who suffer with joint, muscle, and nerve pain. Ginger has incredible immune-boosting and germ fighting abilities and has even been shown to help provide protection and relief from E.coli, Staph infections, and Candida albicans. Turmeric is a known blood purifier and helps to soothe respiratory ailments, improve liver function, support the circulatory system, regulate menstrual cycles, prevent cognitive diseases such as Alzheimer’s, and heal gastrointestinal disorders. Turmeric significantly decreases inflammation that is attributed to arthritis and other autoimmune disorders such as lupus, irritable bowel syndrome, fibromyalgia, and chronic fatigue syndrome. Place the chamomile, water, ginger and turmeric in a small saucepan and place on high heat. Remove from heat as soon as it starts to boil. Let steep for 3-5 minutes (or as long as desired), then stir in the orange juice and raw honey. Pour through a fine-mesh sieve into serving mugs. This recipe combines two of my favorite healing foods–lemon bam and wild blueberries. Both of these foods offer a powerhouse of healing benefits that are helpful for everyone. They also taste delicious when paired together in this recipe! Make plenty of this recipe and store it in the fridge as you’ll likely find yourself gong back for more and more! Lemon balm: Kills viruses, bacteria, and other pathogenic microorganisms inside the liver. Makes a better environment in the intestinal tract, which supports the delivery of cleaner nutrients from the gut to the liver. Lemon balm calms the nerves of the liver, causing it to be less spasmodic, agitated, and angry, while also calming the nerves inside of the intestinal lining, which lowers toxic heat inside the liver. It also supports the adrenals, which makes the liver less toxic. Wild blueberries: Contain dozens of undiscovered antioxidants, including anthocyanin varieties. There’s not just one pigment inside a wild blueberry; there are dozens of pigments not yet researched or studied. The wild blueberry is to the liver as mother’s milk is to a baby. Not only do wild blueberries have the ability to grab on to plenty of troublemakers, they also hold on to them as they leave the liver, in a way that most other healing foods cannot. The pigments in wild blueberries have the ability to saturate deep into liver cells and cross cell walls and membranes inside the liver, spreading their blue everywhere. Wild blueberries enhance the intestinal tract, feeding good bacteria there, which benefits the liver greatly. Place the wild blueberries, maple syrup and lemon juice in a medium-sized saucepan. Cook over low heat until the wild blueberries are mushy, about 5 minutes. Add the water and bring to a simmer. Turn the heat off, add the tea bags and allow to steep for 10 minutes. Pour everything through a fine-mesh sieve into a pitcher or bowl, using the back of a spoon to squeeze out juice from the blueberries and tea bags. Chill the tea for about an hour in the fridge, then serve over ice with fresh lemon balm for garnish. This delicious and warming Hibiscus Apple Tea is reminiscent of hot apple cider but with the added healing benefits and delicious flavor of hibiscus. This tea is fantastic as is or try mixing it up by adding a bag of raspberry leaf tea or ginger tea. No matter how you enjoy it, this tea will offer your body and soul comfort and healing benefits. Hibiscus: The unique anthocyanin compound that gives hibiscus its red coloring helps rejuvenate the liver, bringing it back to life by cleaning mucus off cell membrane walls and improving the liver’s ability to perform its responsibilities. This herb is also a gallbladder rejuvenator—it cleans off gallbladder walls—and improves the liver’s personalized immune system. Apples: Provide living water to support the liver’s hydration capabilities, so it can store the water and then release it back into the bloodstream when dehydration or dirty blood syndrome occurs. The fruit acids in apples help cleanse the liver by dispersing toxic films that build up inside its storage banks. Apples starve out bacteria, yeast, mold, other funguses, and viruses from the intestinal tract and liver. Great for dissolving gallstones. Place the hibiscus tea bags in a heat-proof jug and pour the boiling water on top. Let it steep for 5 minutes, then remove the tea bag. While the hibiscus tea is steeping, place the apple juice and cinnamon stick in a small saucepan and heat for 2-3 minutes, until warm, then remove the cinnamon stick. Pour in the hibiscus tea and stir all the ingredients together. Pour into mugs and serve. These Lemon Coconut Macaroons are melt-in-your-mouth delicious! The burst of flavor from the lemon zest is a refreshing addition that makes this recipe extra special. You could also try this recipe with lime zest for a different twist. These macaroons are perfect to share with family or friends, include in lunchboxes, or for an after dinner treat. Coconut is very helpful in lowering viral and bacterial loads inside your liver and lymphatic system—though only when it’s used in small amounts. Lemons and limes improve hydrochloric acid production as well as bile production and potency. Contain micro mineral salts that break down pathogens such as unproductive bacteria, mold, yeast, and fungus to help protect your liver’s immune system. The rich calcium levels in lemons and limes binds to the vitamin C within them, and both of these enter into the liver, where they waken a stagnant, sluggish, fatty liver, helping loosen and disperse fat cells. Lemons and limes clean up dirty blood syndrome, improve glucose absorption, and even protect the pancreas. Preheat oven to 350F. Line a baking sheet with parchment paper. Add all the ingredients to a food processor and pulse a few times until the mixture is uniform and the coconut shreds are smaller but still noticeable. Using a cookie scoop, scoop out firmly-packed balls of coconut mixture and place them on the baking sheet. Bake in the oven for 12-14 minutes, until golden on the bottom. Remove from the oven and cool completely on a cooling rack. Banana Apple Oatmeal - Oatmeal is one of the most common and popular breakfast choices for Americans, the British, and Australians. It's comforting, filling and delicious. This recipe for oatmeal skips the grains a..
Why 16oz of Celery Juice? - For decades #1 New York Times Bestselling Author Anthony William Medical Medium has been recommending that people drink 16 ounces of straight celery juice on an empty stomach every morning. T..
How Celery Juice Helps Acid Reflux - Acid reflux is not due to gastric acids or hydrochloric acid from the stomach as medical research and science believe. If you or someone you know is experiencing acid reflux regularly, the ac..
Celery Juice's Digestive Enzymes - If you’ve ever experienced digestive problems such as constipation, diarrhea, bloating, excess gas, stomach pain, or small intestinal bacterial overgrowth (SIBO), or looked into how the.. Lemon Honey Ginger Water - This Lemon Ginger Honey Water is refreshing and hydrating. It’s the perfect drink to begin your day with (try it 30 minutes or more before or after celery juice), for an afternoon pick ..
Peach Ginger Sorbet - This sorbet can be made year-round with frozen peaches from the store or peaches you froze at the height of summer yourself. The sweetness of the peaches goes perfectly with the zing of ginge..
Chamomile Ginger Turmeric Tea - Love the soothing effects of chamomile tea? Try this fun twist on regular chamomile with the addition of fresh ginger and turmeric, which offers even greater soothing and anti-inflammatory be.. Lemon Balm Wild Blueberry Iced Tea - This recipe combines two of my favorite healing foods–lemon bam and wild blueberries. Both of these foods offer a powerhouse of healing benefits that are helpful for everyone. They also..
Hibiscus Apple Tea - This delicious and warming Hibiscus Apple Tea is reminiscent of hot apple cider but with the added healing benefits and delicious flavor of hibiscus. This tea is fantastic as is or try mixing.. Lemon Coconut Macaroons - These Lemon Coconut Macaroons are melt-in-your-mouth delicious! The burst of flavor from the lemon zest is a refreshing addition that makes this recipe extra special. You could also try this ..
Thyroid Healing Grab & Go Snack Combos - Sometimes simple is all you need—or have time for. When you’re running out the door or too busy to follow a recipe, you don’t need to sacrifice nutrition or flavor for conve..
Yellow Curry Noodles - These days, the best recipes are the ones that can be customized to meet everyone’s needs. These curry noodles can be eaten raw or cooked, fat-free or with coconut milk added, and no ma..
How Celery Juice Helps Heal SIBO - SIBO should be renamed “small intestinal streptococcal overgrowth,” because the truth is that Streptococcus is the leading type of bacterium that causes SIBO and in many cases the..
Why Celery Juice is Healing Millions - For decades a grassroots global healing movement has been building: drinking 16 ounces of straight celery juice on an empty stomach every morning. Today, millions of people around the world a.. Baked Falafel Salad - This recipe will leave even the hungriest lunch eaters satisfied. Tender, baked falafel are wrapped in lettuce and loaded with a rainbow of vegetables, and then dunked into the complex flavor.. Truth About Fasting - There are a lot of types of fasts being promoted right now, like water fasting, dry fasting, juice fasting, intermittent fasting and more. But with so many different beliefs and theories bein..
Roasted Whole Cauliflower - This delicious roasted whole cauliflower recipe couldn’t be easier to make! In a matter of minutes you will have your cauliflower roasting away in the marinade, which gives you time to ..
How Celery Juice Helps Heal Eczema & Psoriasis - When a pathogen such as Epstein-Barr virus is residing in your liver and feeding off of different toxins such as the heavy metals copper and mercury, disruptive skin conditions can appear. Di..
Mango Mojito Smoothie - Refreshing, sweet, and incredibly delicious, this tropical mojito-inspired smoothie is sure to please! The combination of mango, barley grass juice powder, lime juice and the other ingredient..
Sweet Potato Pizza Crust - This delicious sweet potato pizza crust is a wonderful vehicle for any of your favorite pizza toppings, such as olives, onion, fresh herbs, arugula, and an assortment of fresh vegetables. Not..
Share this Blog with your friends! Copyright© 2017 Anthony William, Inc. All Rights Reserved.